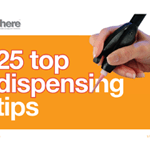 Why use a rotary dispensing table? A rotary dispensing table is a simple robot which holds a round or cylindrical object, rotating it while a material is applied to it via a dispensing syringe, pump or valve. Whilst it is a simple tool, it will provide consistent results, reducing manual labour, rejects, and wasted material. When dispensing onto round objects or in circular patterns, dispensing by hand is really tricky, and a full robotic system might be considered over-specification. A rotary dispensing table makes it possible to automate dispensing in these applications, without any unnecessary bells and whistles on more general purpose robots. If you are working with round, circular, or spherical pieces in your assembly, and dispensing fluids such as adhesives, sealants, gaskets, or potting compounds onto or into those pieces, a rotary dispensing table is worth considering. 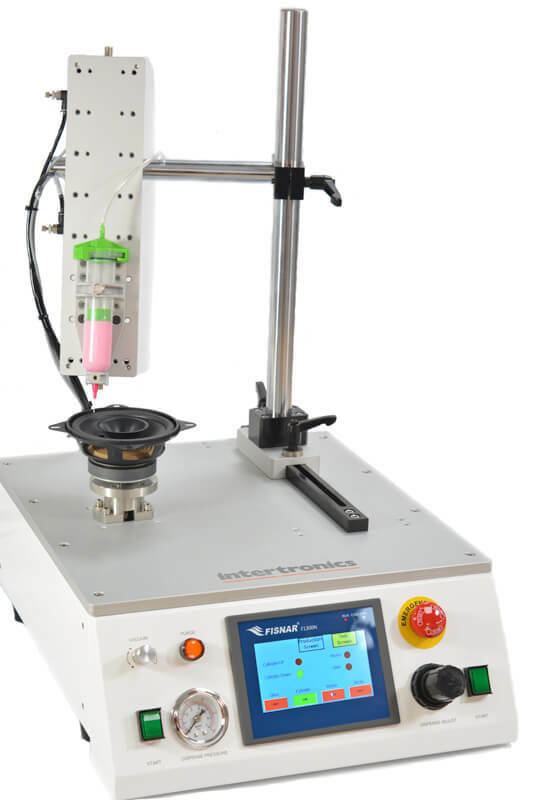 We recently introduced the F1300N Rotary Dispensing Table, which offers capabilities such as an easily adjustable Z-axis tilt to give manufacturers controlled rotary dispensing at a range of angles. Using the F1300N Rotary Dispensing Table, you can efficiently dispense materials in circular patterns, arcs or partial arcs. This includes dispensing materials vertically or horizontally onto internal or external walls of a component. 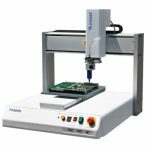 We recommend the F1300N to customers who are applying materials such as adhesives, silicones or lubricants onto parts with up to 300mm or 12 inches in diameter. The Rotary Dispensing Table can be paired with a range of dispensing systems, from simple syringe barrels to high precision valves or pumps, depending on the level of precision required and type of fluid being dispensed. You can use our modular brackets to mount a range of dispensers for different applications. 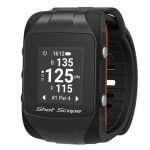 The system is fully programmable to control rotation speed, dispense delay, degree of rotation and wait period before cycling using the intuitive user-friendly HMI display. For more information on which dispensing equipment and materials are best suited to your process, contact one of our product specialists.